Harvey Cordell McCoy, 75 of Buhl, was born in the small town of Talluah, Louisiana. His family was not rich in fortune, but with five brothers and sisters they were rich in love and comfort. He served two years active duty in the United States Army. During his time in Vietnam he was in Hue and Pleiku and was a military police officer. Despite the homecoming Vietnam Veterans received he was proud of his service and loved his country. After serving his country in the Vietnam War, our Dad went on to study hotel management and gaming. Moving to Las Vegas in the early seventies Harvey’s first place of employment was at the El Cortez Hotel and Casino. Dad worked in many famous hotels along the Las Vegas strip, eventually employed in the prestigious position of shift boss. After working in the gaming industry for more than 30 years, our dad sought the comfort of a small town again. He always loved the outdoors and preferred the simplicity of a tranquil life surrounded by nature. Fishing and gardening were some of his greatest passions. This brought our father to Buhl, Idaho. Once in Idaho he became a pillar of the Buhl VFW. He served many roles including Service Officer and Commander, but his service to veterans went beyond those titles. 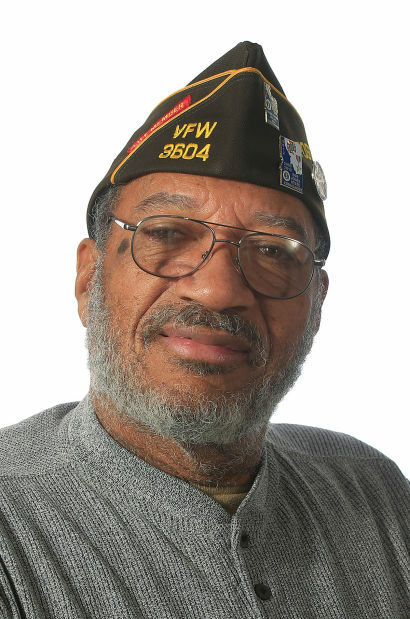 Harvey spent years working with veterans and guiding them through their VA processes. He was still fighting for his own claims when he passed away. He was a true advocate for veterans rights and would not stand by as the veterans fought against the resistance of the VA. He was also instrumental in the recent growth of the Twin Falls Veterans Council as he served as Chairman. He loved bowling, a sport in which he mastered early in life, having bowled the perfect 300 more than a few times! He spent much of his free time at Bowman's Orchard, the Buhl Herald, the Oregon Trail Motel, and Senator Crapo's office. He loved the tasks at all those places, but the friendships were the most important. In the summer months he put his time towards picking cherries, peaches, plums, and everything else he could, then gave it all to his loved ones. Not to mention his love for growing watermelons and of course cooking "Harvey's Hams". He had so many very close friends and is truly and deeply missed. We want to thank the lovely community of Buhl for embracing our father and welcoming him into your lives. Our dad touched many people’s hearts. He was a great friend, and a proud Veteran, always lending his support and assistance to his fellow Veterans. Harvey will be missed by many but never forgotten. He is survived by his two daughters, Claudette and Angelina; his two granddaughters; Jinese and Alexandria; and his two dogs, Riddy and Bash. A viewing will be held from 5pm until 7pm, Monday, April 8, 2019 at Farmers Funeral Chapel, 130 9th Ave N, Buhl. A Celebration of Life will be held at 5pm, Tuesday, April 9, 2019 at the 7th Street Gym, 601 Maple Street in Buhl. A Graveside service with military honors will be held 11am, Monday, April 15, 2019, at the Idaho State Veterans Cemetery, 10100 Horseshoe Bend Road, Boise, Idaho 83714. Memories and condolences may be shared with the family on Harvey’s memorial webpage at www.farmerfuneralchapel.com.